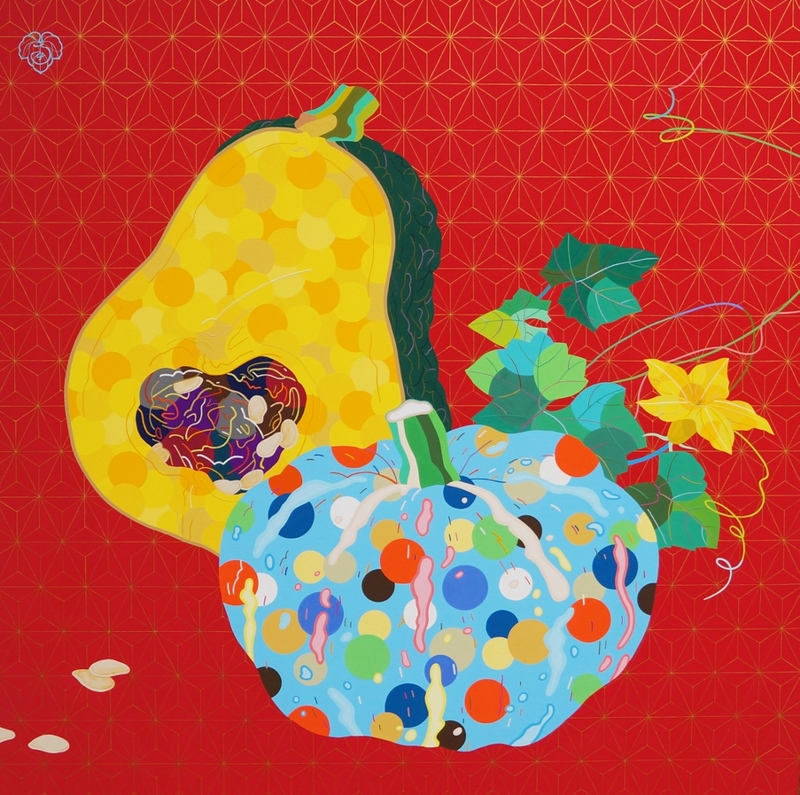 Mouri is an artist, who paints vegetables and fruits. She uses Japanese natural mineral pigments as well as acrylic paints for her vivid artworks and sometimes also foils, which is one of Japanese traditional art techniques. The artist living in the countryside also has a green thumb: Her affection to the natural beauty of the harvest are reflected in the freshness and liveliness of her artworks. Vegetables and fruits represent not only seasons but some of them typically good luck and prosperousness. She translates them colorfully but with dignity into modern forms, which attracts collectors in and outside Japan.